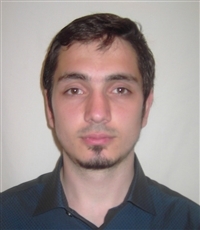 Shamil Saiev obtained a Master Degree in Materials Science and Surface Engineering in 2014, from Strasbourg University. In 2018, he earned a PhD in Chemistry at the University of Mons, working in the Laboratory for Chemistry of Novel Materials, under the supervision of Prof. David Beljonne and Prof. Roberto Lazzaroni. His thesis research was devoted to the study of the network formation and thermomechanical properties of benzoxazine resins and their composites with carbon nanotubes. Currently, he continues to work in the same research field as a post-doc in the University of Mons.